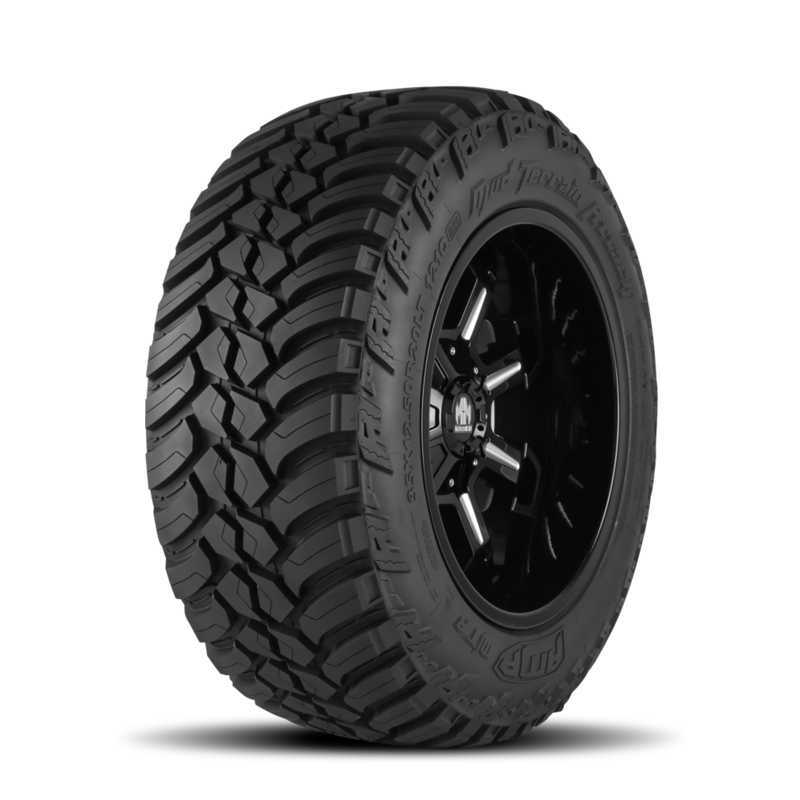 The AMP Terrain Attack M/T was designed to perform in the most extreme conditions while offering improved grip and handling for better on-road performance. The 3-ply “A” logo side wall provides biting edges that provide outstanding grip in mud, rock, sand, snow and more. A full range of sizes up to 40 inches tall, the Terrain Attack M/T will conquer anything in its path. 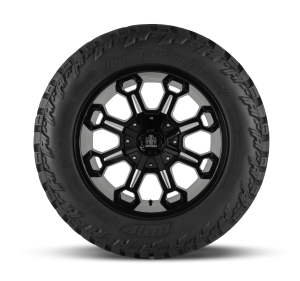 Reinforced sidewall boasts “A” logo lug design which provides dynamic biting edges to maintain grip through the most extreme conditions or when airing down tires. 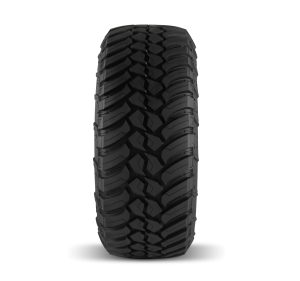 The tread pattern is aggressively designed to remove mud, dirt, snow and debris while keeping continuous contact for superior off road traction and better on-road control. The deep sipes and distinct channel design significantly increase traction in wet conditions. 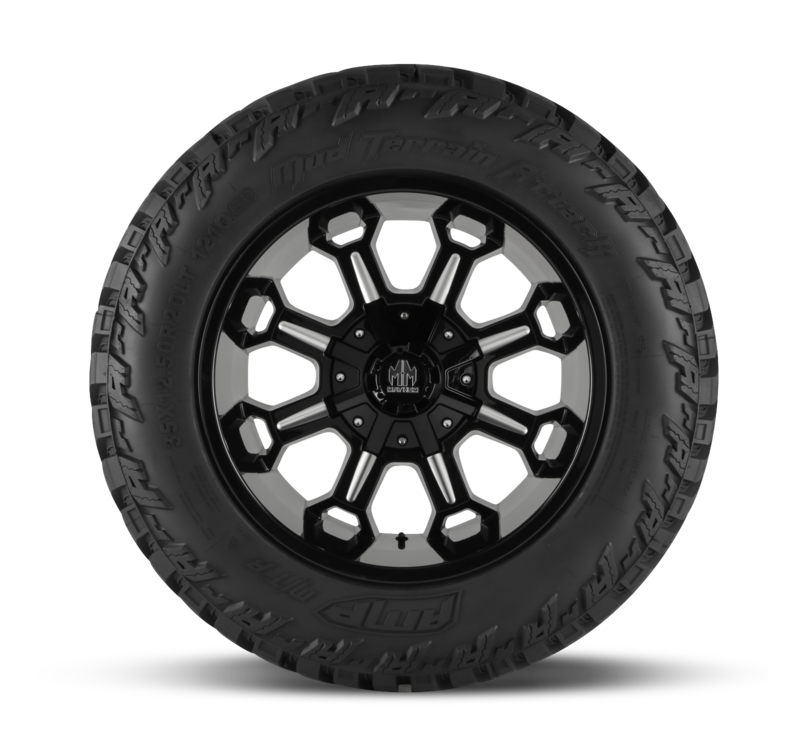 The unique shoulder design features a staggered tread block that provides reliable grip in unreliable terrain and consistent traction for better on road performance.